Join WGRC for exciting high school football action, plus a halftime feature which will blend faith and sports as it takes a look at either upcoming NFL or college football action! *Audio will be posted here when available, we cannot guarantee that audio will be available for all broadcasts. Don has been announcing Friday Night Football on WGRC since it began in 2003. He has a love for sports and quickly warmed up to the football scene in Central PA! (However, Don does still cheer for his favorite teams from his home state of Maryland.) 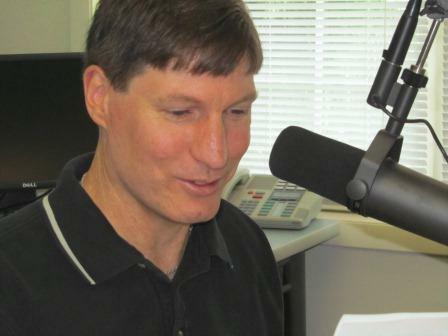 He also hosts the WGRC Morning Show and works as an Assistant Manager for the station. Steve Bish – Steve is a former four year player (at QB) for Grove City College. He has served as an assistant football coach and volunteer at Milton High School for 20 years. Steve is retired, but spent 33 years as a teacher/administrator in the Milton Area School District. Steve is married and is the father of two. Tyler Hertzog joined the WGRC football team in 2015. TJ graduated from Susquehanna in 2014 and from Shikellamy High School in 2010. TJ was a 1st team PHAC running back and linebacker for Shikellamy. He was a captain his junior and senior years and helped lead the Braves to their first ever District 4 playoff win. TJ now lives in Sunbury with his wife and children. 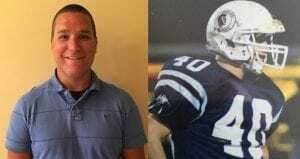 Glenn Smith – Glenn is a 2003 graduate of Warrior Run High School where he was a four year starter at quarterback. Glenn threw for over 5,000 yards and was named to the PA All-State team as a senior. Glenn went on to play college football at Lycoming College in Williamsport. He was a two year starting QB and captain for the Warriors (who one season finished 6th in the nation). 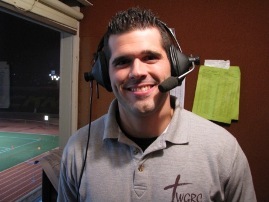 Dave Jones – Dave Jones joined the WGRC football coverage crew in the 2013 season. 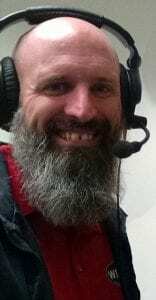 Dave serves as a sideline reporter and covers the game as only someone with his knowledge and experience in football knows how. 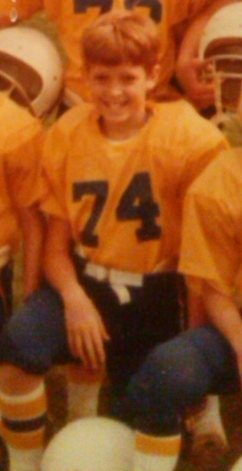 Dave played football for two years for the Karns Beavers Pee-wee league in Tennessee. At the age of 9 years old, as a two-way player, Dave recorded a number of tackles in his linebacker position; and on offense landed the position of running back where in his second year had a game high 3 fumbles lost. John Callahan is a long-time producer of Friday night football on WGRC. John keeps our broadcast rolling at the studio while also tracking scores from throughout the region. John and his family live in the Bloomsburg area.